I know what you're thinking, so let's get that out of the way first – Rhassoul clay isn't a herb! And, of course, you're right. But it's an awesome ingredient for beauty products, so doesn't it kind of qualify anyways? I think so! Rhassoul clay is one of my very favorite beauty treatment ingredients. Used by royals and nobility in ancient Rome and Egypt, this clay has continued to be popular for use as a soap, skin conditioner, shampoo, and facial masks (like my Purifying Mud Mask!). Really, it does it all. Read on and find out more! What is Rhassoul clay, and where does it come from? Found in the ancient lake beds of Morocco’s Atlas Mountains, Rhassoul clay is naturally-occurring. The clay deposits lay dormant for millions of years, only to be carefully brought to the surface and purified from the miners to you! When first brought to the surface, the clay is in a rocky, soaplike form. After it is refined and purified, however, it takes the form of a fine, luxurious powder. What are Rhassoul clay's benefits? To use Rhassoul clay, mix a bit of the powder with water to form a smooth, silky paste. Now, apply that paste to wherever you want to be smooth, soft, and glowing! You might not think of a mud as a particularly skin-softening ingredient, but Rhassoul clay has even been shown to improve dry skin by regulating your skin's natural oil balance! 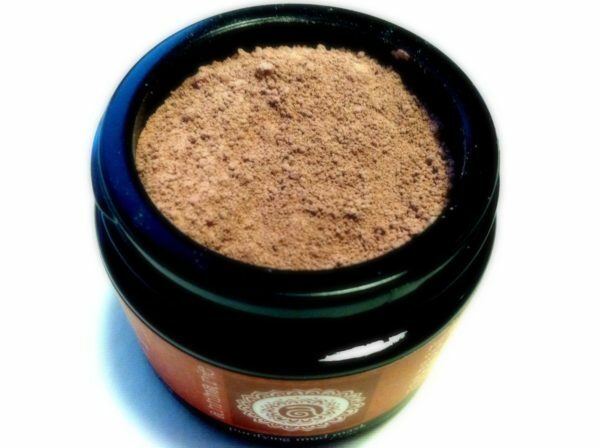 Additionally, those who use Rhassoul clay as a mask have reported improvement in the cleanliness and overall look in the texture of their skin. Amazingly, many people also use Rhassoul clay in their hair as a deeply nourishing shampoo. It is especially effective for oily hair, as it de-greases the scalp yet does not disrupt the skin or hair shaft. Using Rhassoul clay paste instead of commercial shampoo could prove ideal for someone trying to limit their exposure to some of the the toxic chemicals found in most commercial shampoos. Later this week, I'm going to show you how to best use our Purifying Mud Mask, and let you in on some of my favorite tips and tricks to use Rhassoul clay with!